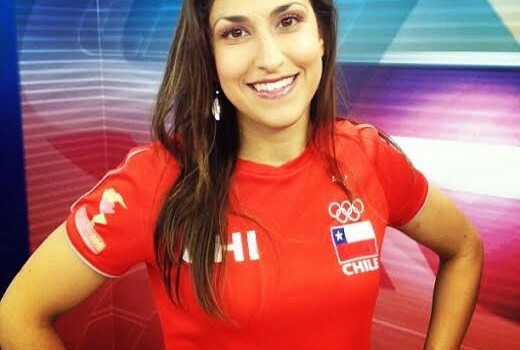 Claudia Vera is the president of Chilean athlete group DAR Chile, the Agrupacion Deportistas de Alto Rendimiento. The group is continuing to push for better conditions for Chile’s elite athletes. You’re the president of DAR Chile – how has that been? It’s a lot of work. I’ve met some amazing people, it’s a great experience. It’s complicated to fit everything in with the time, and now that I’m a mother it’s even more difficult. By luck, we have a great group of directors who will “put on the shirt”, just like good sportspeople, and now we have the new help through Constanza Sandoval, she is the new addition to the group, helping with the communications, now we have the office as well. Thanks to all this, I can rest a little bit more. How do you fit everything into the schedule – being an athlete, a mother and the president of the group? 24 hours. All day. The technology helps a great deal. WhatsApp, email, I’m checking that all day. The hope for this office is that the information will be going directly to the athletes, and there will be less questions about where the information can be found. What are your expectations for the new Minister of Sport, Natalia Riffo? We have great expectations and hopes to work together with her. She was in touch with us immediately after being made, and it was her that made the contact. So we’re off to a great start. She called me last night to say she couldn’t attend this function today, she was invited but is taking some days of rest before starting this new challenge. We’ve got great hopes for her, and as always with the Agrupación, we are working with all the different institutions involved with sports, we will be working with groups of any political sectors, looking to get the best for sport in Chile. 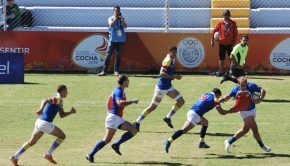 What are your expectations for the South American Games, for Chile in general? If we finish in fifth place, that would be good. A fourth place finish would be spectacular. The level is very high and very difficult. Chile is beginning to improve their level, so we can’t have such high expectations. We hope to bring a lot of happiness to the community and that they will come out and see the events and support Chilean sport. 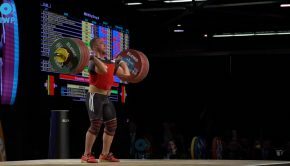 When you’re competing overseas, the public pressure can sometimes be the difference between a gold or a silver medal. And we want to win many gold medals in front of the home crowd. What’s your recommendation for the public? They should inform themselves ahead of the Games, try and learn a bit more about the sports. They can visit the Santiago 2014 website to find out where they can buy the tickets, or sign up for an invitation. Before going to an event, find out a bit more about the sport, so you don’t miss out on what’s happening. And go with the aim to give great support to the Chilean team. How about the Chilean team in Karate? They will go well. I have high expectations of my teammates. They are well prepared. Sadly for me, I will be supporting from the crowd. I prepared for the Games, but in the selections I lost in the selections and lost my place for the Games. I think Chile’s going to go well though. What’s the future for DAR Chile? The future for DAR Chile…The upcoming future is to be in touch with the new authorities that are coming, try to improve in the fastest way possible, the theme of the Proddar scholarships, which are given monthly. We need to ensure stability of those, then the theme of medical insurance, which has been complicated for many athletes. In the long term, we’re working on the professionalisation of sport in Chile. That an athlete can choose whether to be a lawyer, a teacher, a journalist or an athlete. 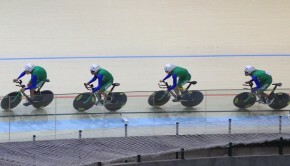 In each sport, the athletes can have health insurance, pay into their superannuation and have a pension afterwards. That can happen in peace, which is not happening today, but it’s improving. In terms of financing from private groups, how can this change? Now we have a new project from ADO Chile, which is called Team Chile, that’s going to support this gap. It’s going to invite not only private companies, but to individuals, like you, or your friends, who can support sport with a small monthly amount. Everyone involved with that will become part of the “Olympic family” and receive special treatment, for example coming to events with us, receiving some clothes, having access to travel to the major sporting events, the Olympics for example. All these initiatives are aimed at bring the community closer to the athletes. I think Team Chile is a great project, we’re supporting it as the Agrupación, it’s another way that people can finance sport. 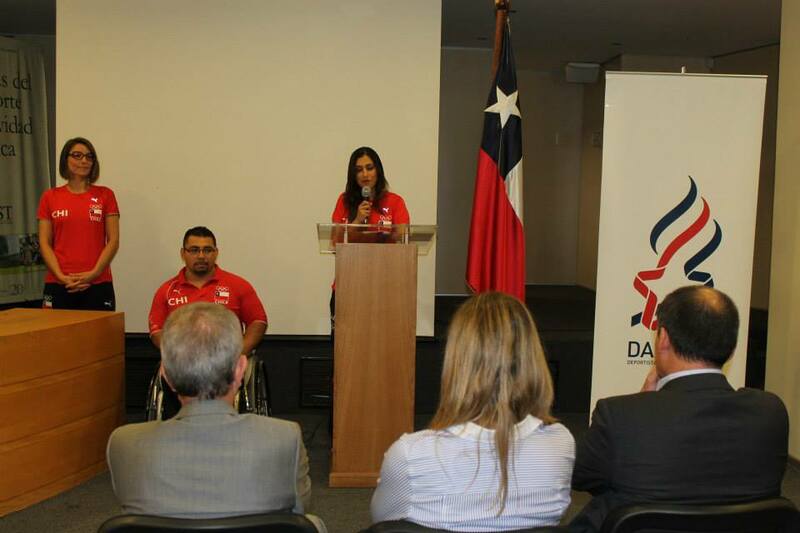 These kind of initiatives have built unity among the Chilean athletes. Are there some athletes who are not involved in these projects? As sportspeople, we are extremely united, however the communication can be very difficult. The routine of an athlete demands great concentration, many hours of training. For team sports, they can at least talk with issues with their teammates, there’s also many athletes who are based overseas. It’s for this reason we’ve created the office, to make that information flow. We have the majority of athletes in our group, and we’re always inviting more to join. Those who are not in the Agrupación, they don’t have the information. In general, we’re very united. Were you happy with the event today? Yes, we made a very small invitation, some of the press, and particularly some of the authorities who have made this possible. Almost everybody arrived. We’re very happy as this is a great step for us to have this office. Now it’s done and tomorrow it begins. Thanks to you Daniel, personally, for supporting us in everything we’ve been doing since we’ve begun. Thank you for your coverage and presence.